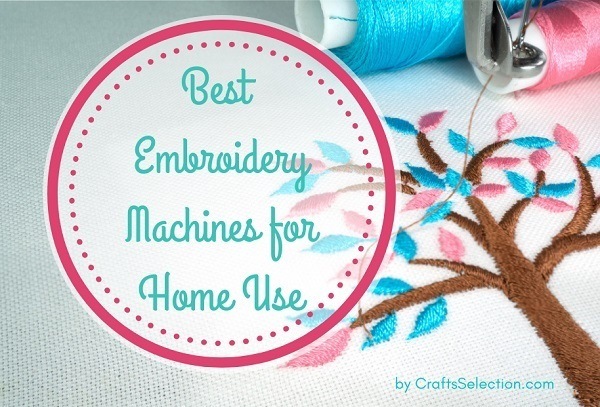 Researching and selecting the best embroidery machine for home business is a grueling task. 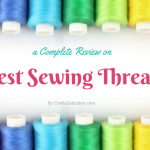 There are so many opinions out there that make us uncertain as to which one to trust and what embroidery machine to go for. We understand your pain and are aware that you have a lot of interesting home business ideas ready to burst in your mind. And the only thing that’s stopping you is an embroidery machine that suits your professional needs and still is within your budget. 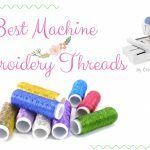 Let us present you a list of the top five embroidery machines for small business in the retail market right now. You can go through the reviews and select the best embroidery machine to start a small business that you think is ideal. Each one is better than the other and a quick glance at the pros and cons will help you choose your workhorse. 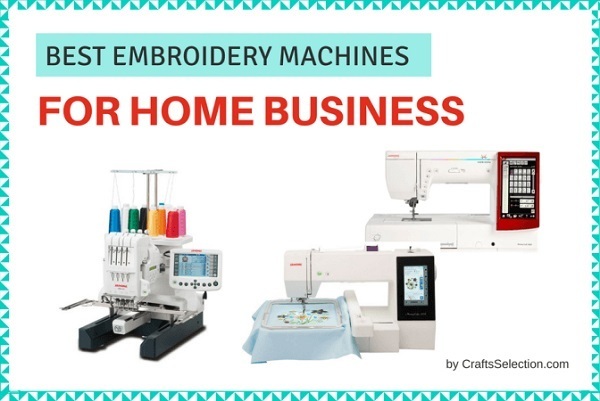 Before you go through the reviews, have a quick look at this list of the top embroidery machines for small, home-based business. 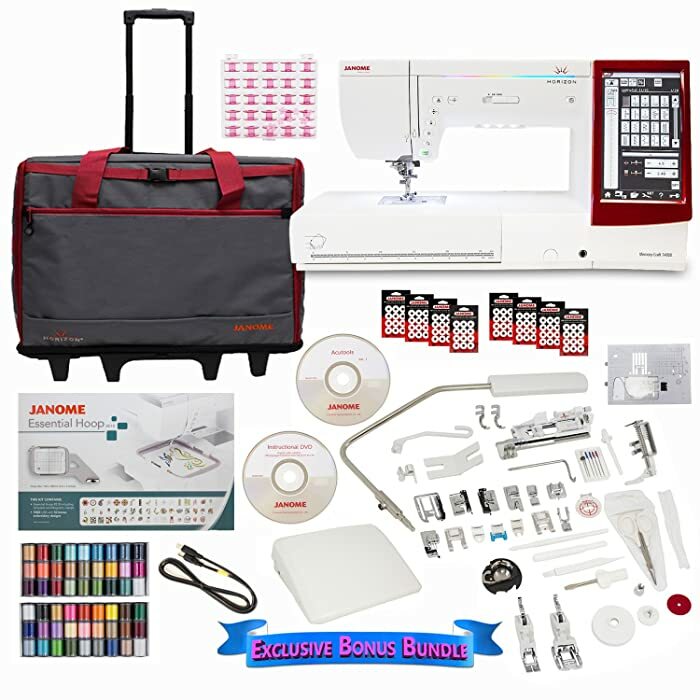 Our all-time favorite brands Janome, Brother, and Singer make an appearance because those are the ones that innovate when it comes to professional embroidery machines and sewing instruments. If any one of these five fancies you, just check out their review below, order it, and start a countdown before you make your dream come true! Be rest assured that all five have been tested and analyzed, and are the best in their lot. They all cater to the diverse needs of experienced embroiders like you who need advanced features, simple usability, and lots of power. Running a home-based embroidery business means creating a variety of designs and focusing on the minute details that your clients demand. Getting one of these five will ensure that your clients stay happy but more than that your Instagram followers and sales numbers stay on the rise. Good luck! An absolute workhorse, this Janome sewing embroidery machine is like a dream come true. Made for people who like to take total control of their creations, it is packed with cutting-edge features and a heavy-duty motor for seamless operation. The Memory Craft 14000 has so many features that it will take weeks for a true embroidery enthusiast to fully grasp its potential. Which is definitely not a bad thing, you know. The maximum speed of 1000 stitches per minute (spm) with the facility of automatic needle threading and tension control will help you wrap up your projects faster. Although the LCD screen will feel a bit complex to operate at start, the instructional DVD and manual will ease you into all the functions and controls. What makes this monogramming machine for small business even more capable is the 11 fonts with support for European characters. 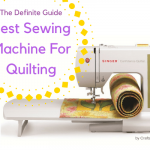 It has 400 built-in stitches and 13 one-step buttonholes that will help you cover all types of sewing and quilting. 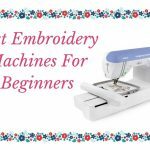 It also has a free arm and an extra-long hoop size to work on larger projects, and which make this the best embroidery machine for small business. The automatic feed is another great feature that does not require you to forever hunch over the machine. Getting the Memory Craft 14000 is like being sorted out for the rest of your business career. There’s an inexpressible charm to industrial grade machines that work like an assembly line. You just set it up and the line takes care of it. This Janome 4-needle embroidery machine is just that. 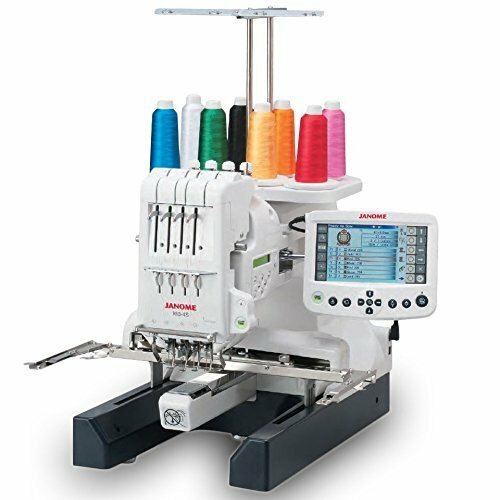 This multi-needle embroidery machine is more than professional equipment that is specifically designed to appease a home business owner. 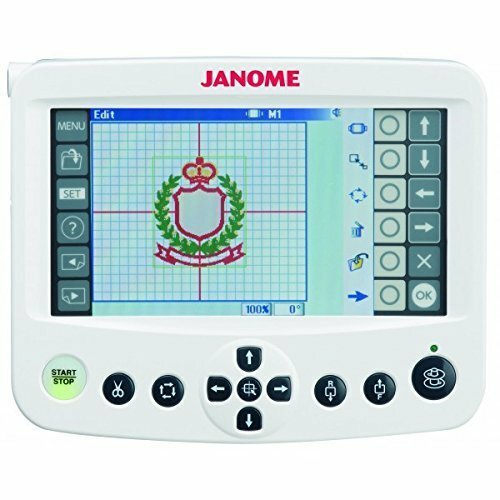 Janome understands your specific needs and has therefore focused on automation. 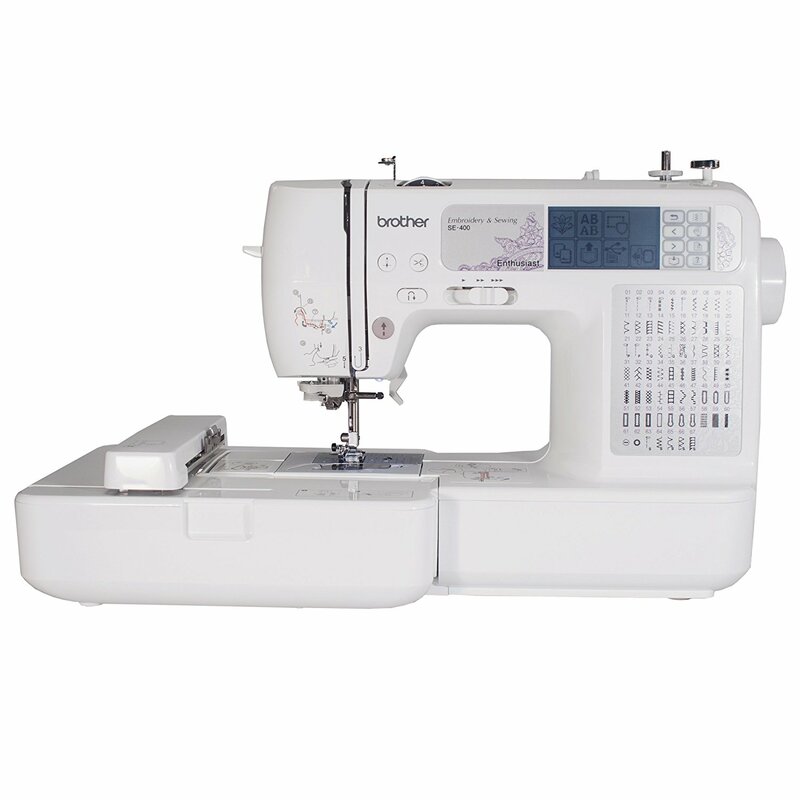 It has a dedicated bobbin winder, automatic needle threader and tension control, and a wide work area. The versatility of editing your designs is path-breaking, as you can use the Remote Computer Screen (RCS) to not only snip and snap your designs, but also combine and experiment. Owning a home business means getting weird requirements from clients, and with this, they are never a problem. This is the perfect embroidery machine for hats and shirts and tote bags and every other creative product in your business inventory. With the Janome MB-4S which has a maximum speed of 800 spm, it’s like owning a factory right inside your house. 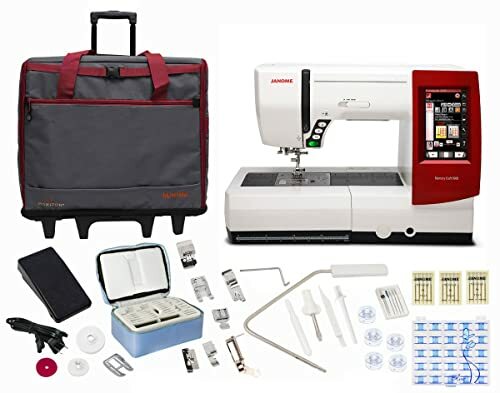 If you are an advanced user and are looking for the best multi-needle embroidery machine for home business, then this is the model to own. Running a home business means getting creative with your work to increase your clientele and sales. What better way than to diversify and explore products that are not just wearables? 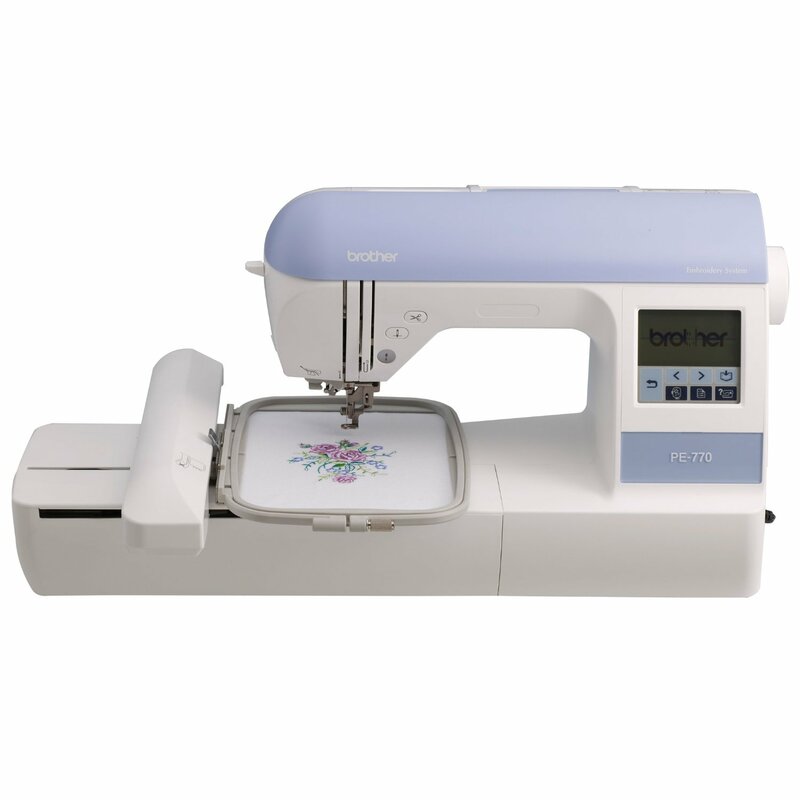 The Janome Memory Craft 9900 is suitable for those who have a wide range of products in their kitty. A less-advanced version of the Memory Craft 14000, this one boasts of complete editing functions (like a sewist version of Photoshop), a memory capacity of 3 MB so that you can store your bestseller designs, and a robust and powerful sewing system that can stitch through multiple layers of fabric. When you are working with different fabrics, the one feature that comes handy is speed control. 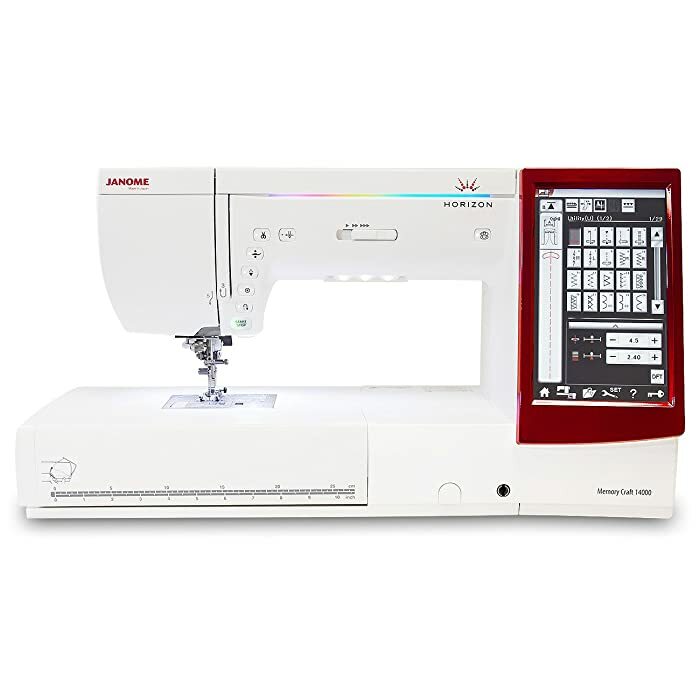 With the Janome 9900, you can vary the speed between 400 and 800 spm depending upon your project. 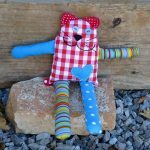 It comes with several accessories that make sewing certain types of stitches easier. 200 built-in stitches, 175 embroidery designs, and 6 one-step buttonholes are like icing on the top. 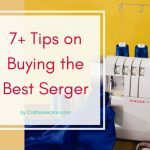 An affordable alternative to the above two, this is the best sewing machine for embroidery and quilting. Just order, receive, and start working. It’s also the simplest machine to work on. 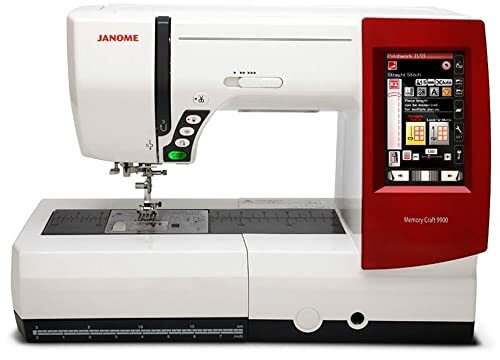 One of the primary reasons why all the three models above are from Janome is because they have excellent customer support. Just visit their website and use the most suitable medium to get in touch with them. A solution is guaranteed. Ready to be used as soon as it ships to your house, this affordable combo machine is the perfect package for a hobbyist who has plans to start a business. The Brother SE1900 is one of the bestselling models in this range for a couple of reasons. The ability to import premium designs from the internet is arguably its best feature. It can positively impact your inventory as you can play with different designs for your clients. The work field is wide enough and moderately lit for large projects. The large 5×7 inch embroidery hoop is a godsend because we’ve found that it reduces the work time by half or more. You can attach the material to the hoop in the best suitable position and feed it. The 22-lbs machine is light enough for easy portability, and also comes with a sturdy protective carrying case. 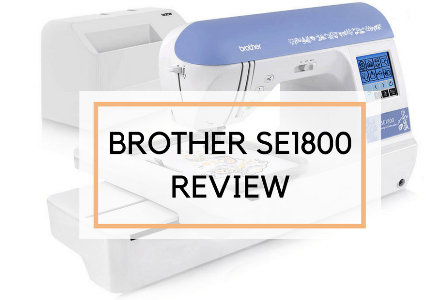 The Brother SE1900 is one of the most affordable embroidery machines in the retail market right now. It does not demand anything from its user and does not fret when the user does. 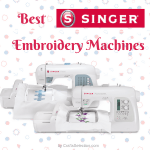 This is a very good embroidery machine with large hoop for home business especially because it has a string of peculiar features that you won’t find in any other models on this list. While the Singer Futura XL-580 is slightly more advanced than the above model, the cost is what makes it a steal. A plethora of high-tech features like multi-hooping capability for larger projects, knee lifter, and speed control makes it a competitive machine. The endless hoop is perhaps its greatest feature because now you can easily work on the borders of your creations and never let them go blank. With 6 LED lights located at the right places, you can be sure that the end design is as similar as you thought. It also boasts of 250 designs, 215 stitches, 3 extra hoops, 20 fonts that are expandable, 6 one-step buttonholes, and a variety of accessories. 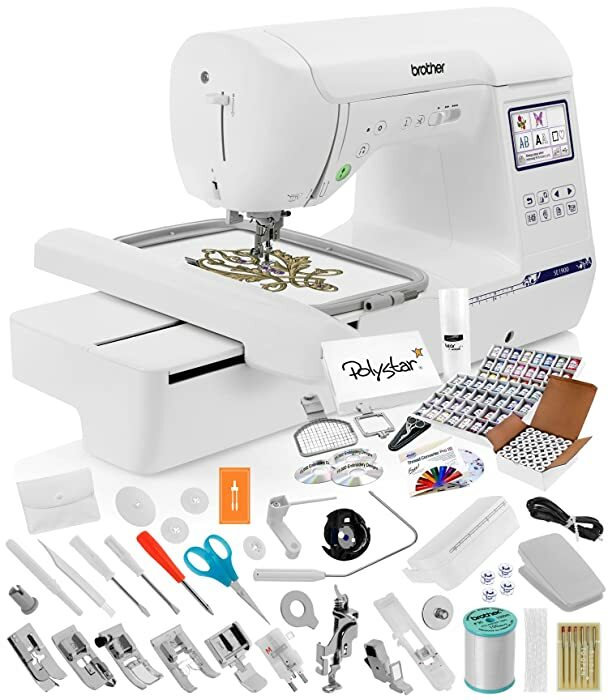 All of this at such a great price makes it a good embroidery machine for home business. This Singer XL-580 model will take care of all your needs as you begin your home business, and according to us, is the perfect combination of a good price and extraordinary features. These three models are handpicked from the online retail market and are known for their top features like advanced monogramming and multiple needles, extra durability so that you can work on it for hours without stopping, and longevity which ensures it is a one-time investment. A perfect combination of all the parameters required to kickstart and maintain your home embroidery business. You are a hobbyist and you are just starting up. Of course, you don’t need all these advanced features that you will never use. So, why not trade them for a reduced price but still retain all the power of a professional embroidery machine? 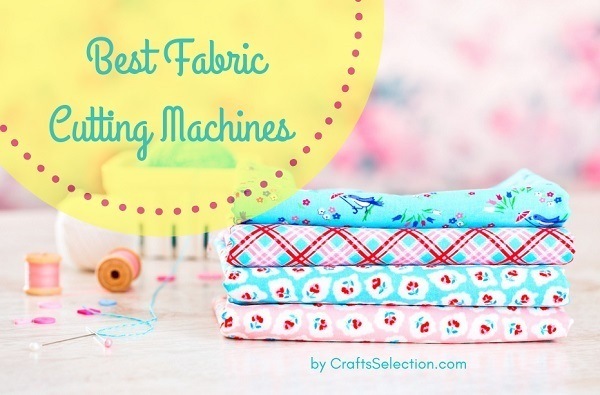 The above affordable embroidery machines are the ones you should go for. 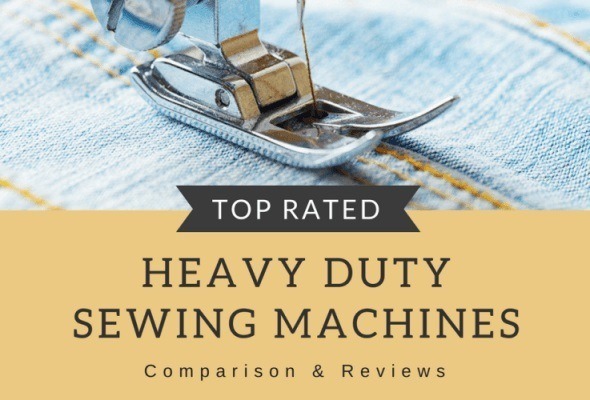 We hope that these best embroidery machine for small business reviews of the top 5 models will help you make a wise purchase. Starting an online embroidery business can be very lucrative and interesting, but before you get on with it, you should sort out one thing. And that is to get a machine that is reliable, versatile, and ahead of its time. We have ensured that all the five models above check all those three adjectives.